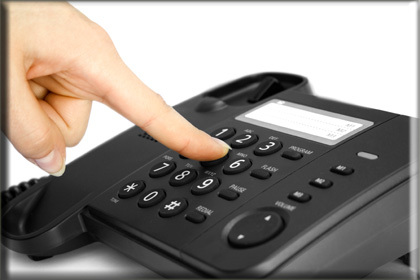 Let BCC be your cold calling team member and make the calls, so you don’t have to. We will schedule meetings, capture emails, and introduce your company to new prospects for you. Lead Generation – BCC works to help with business to business and business to consumer appointment setting. Let us be your outsourced telemarketing partner to help your sales people generate more meetings, to close business once they get in the door. Customer Surveys – We can help you find out what your customers think about your services. How do they perceive your quality and customer service? What do they like and dislike about your company? Are they using the competition? Are there any issues/needs to be addressed? Do they have additional services they want you to provide? BCC can find the answers you are looking for. Sales Consulting – shared approach to creating new business. Work with John and his personal business contacts over 20 years for; defining the call list, developing strong scripts, branding your company, use of direct marketing, sales closing techniques, and other consulting services. Direct Marketing Follow-Up – Direct marketing is a great tool, but even better when followed up by telemarketing. Send out that warm mailer, then proceed with calling to stimulate sales responses, meetings, and completed orders. Trade Show Follow-Up – After you man that booth for 72 hours, why not get additional results from follow up calling. Whether you have business cards, reply respondents, surveys from the show, by adding the follow up calls, you create additional sales opportunities. The worst thing to happen is for these hot leads to become stale leads. Database Clean-Up and Scrubbing – BCC does the grunt work so you don’t have to take the time/effort to make that database of wrong contacts, changed phone numbers and addresses, and out of date information. We can bring that old client database up to the most current database for future sales prospecting. Financial/Insurance Calling – BCC does the business to consumer calling in the evening so you can be home with your family. We call evening hours, set up meetings, follow up from warm mailers, assist on seminars, workshops and dinner events, among other scheduled calling activities.